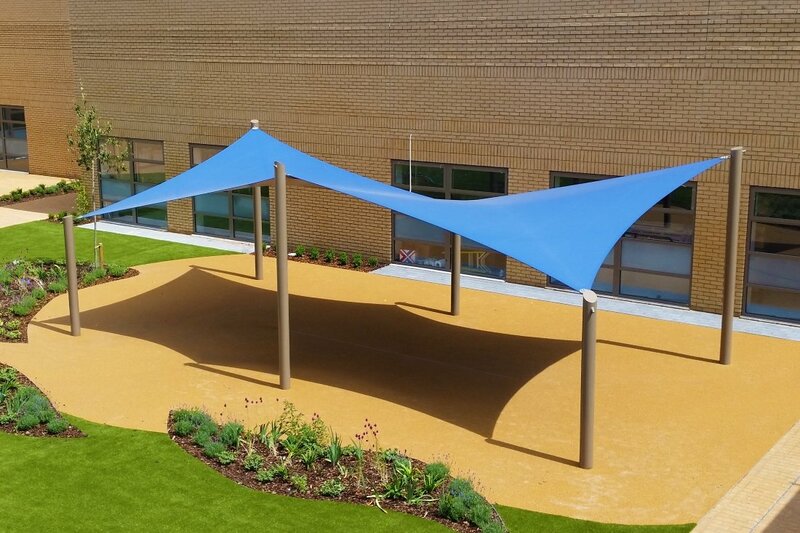 The Azure is a range of classic and striking tensile fabric structures. They are some of our most popular structures, with an elegant design simplicity and a cost-effective form. The Azure is available in single, double or multiple pre-designed and pre-engineered configurations. They can also be tailored to suit your site, sizes and requirements. All structures are fully engineered to be left in situ all year round and come with a 10-year warranty. 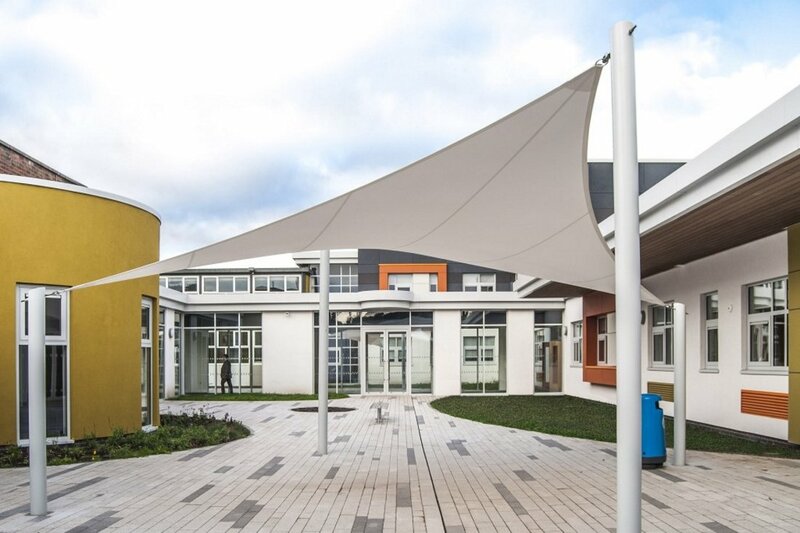 Its highly effective tensile canopy is available as a UV blocking shade sail or as a fully waterproof & UV blocking tensile membrane. The Azure is a stylish yet practical choice, with a large and flexible range of sizes and configuration options. The Azure can cover large open spaces, making it the perfect choice for parks and playgrounds.